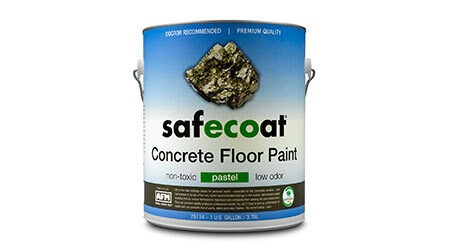 Safecoat Deckote Concrete & Masonry Paint is a waterborne coating for dimensionally stable decks. Dries quickly to a tough, monolithic semi gloss sheen film. Virtually odorless upon application. Made without formaldehyde preservatives, mildewcides, or fungicides. Standard in white, colors available on special order. Compatible with other Safecoat sealers and coatings for additional finish protection.